Prairie fire peppers may look more like little Christmas lights (or even Light Bright pegs) than chili peppers, but you’re in for a real surprise if you pop one in your mouth. 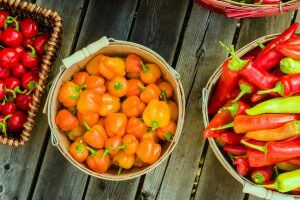 There’s a surprising heat, comparable to spicy Thai peppers, and a fruity undertone to these chilies that’s more flavorful than your typical ornamental pepper. 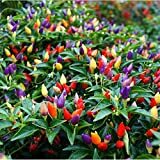 Though it’s their looks where they shine, with a multitude of chilies growing on one plant in a wide array of colors – from greens and purples to yellows and reds. It’s a prime option for colorful landscaping and container gardening. 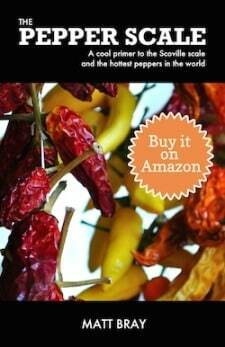 How hot are prairie fire peppers? Take this chili’s name literally: Their size belies a real fire here. With a Scoville heat range from 70,000 to 80,000 Scoville heat units (SHU), prairie fire peppers sit well above our jalapeño reference point. They are nine to thirty-two times hotter. They are in line with two other smaller chilies: Thai peppers and chiltepin, both with heats that range from 50,000 to 100,000 SHU. Prairie fire peppers never reach the maximum heat potential of Thai chilies, but they will typically have a similar spiciness. Imagine a strand of colorful Christmas lights and you’re pretty close. In fact, prairie fire peppers go by another moniker, too: Christmas peppers. They do look like Christmas lights: tiny and thin, approximately an inch in length, and a whole world of color. Prairie fire peppers, as they mature, take on wide range of hues including shades of green, purple, cream, yellow, orange, and red. One plant can have dozens of each color visible at any time creating a beautiful scene. But it’s not only the colors that make the prairie fire an exceptional ornamental pepper, the plant itself helps its cause as well. It grows bushy and its branches cascade providing the perfect backdrop from which the prairie fire can shine. The sprawling effect makes this plant an excellent option for landscaping ground cover, but it works just as well for container gardening and even indoors for a pop of color. What do prairie fire peppers taste like? This may be this chili’s secret weapon. 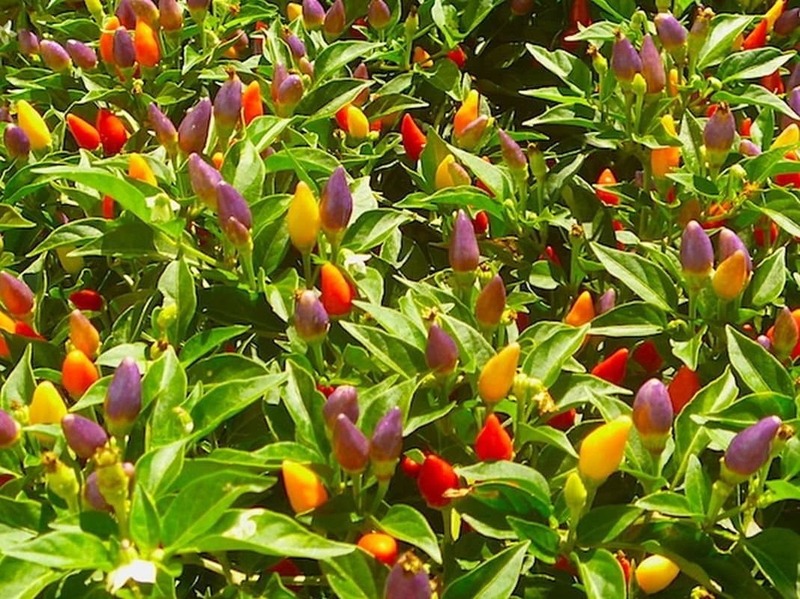 There’s actual flavor here, and that’s not always the case for ornamental peppers. In fact, ornamentals are typically all heat, no flavor. 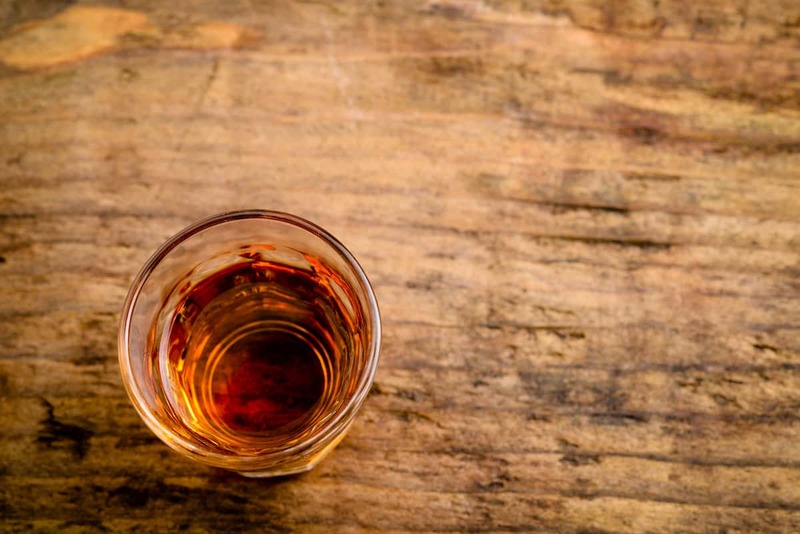 Instead, the prairie fire pepper delivers a short-lived fruity tang to go along with its significant spice. 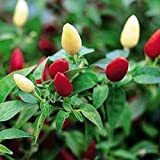 It’s nowhere near as flavor complex as chilies grown for culinary use, but it’s certainly more flavorful than most other ornamental varieties. 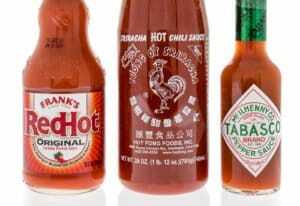 Given their size, you’ll be tempted to pop them into your mouth, but be prepared for the heat! Obviously, the major use case is as an ornamental pepper, but you can make a mean salsa from fresh prairie fire peppers. It’ll no doubt be the most colorful salsa you’ve ever created. 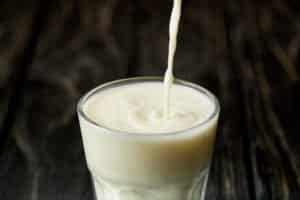 They can also be chopped and used for sauces and stews. Where can you buy prairie fire peppers? 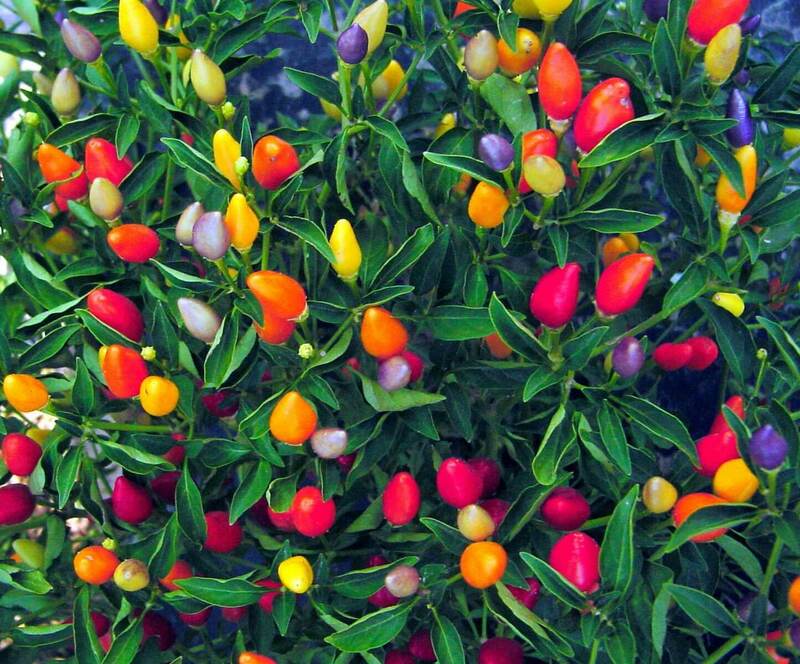 These aren’t typical culinary chilies, so don’t expect to find them at your local grocer. Instead, look for prairie fire pepper seeds to grow them yourself. Many gardening centers carry the seeds, but you can also purchase them online to avoid sourcing issues. Few peppers provide the color pop that prairie fire peppers provide. Their miniature size actually heightens the dramatic effect of this plant. If you’re seeking a plant for bright and beautiful color impact for landscaping or container gardening, it should be at the top of your short list.